NATO is seeking to use its partnership initiatives on behalf of a range of objectives that support cooperative security, one of the three core missions set out in its 2010 Strategic Concept. These objectives are all broadly directed towards promoting political consultation and cooperation, preventing conflict, and building crisis management capability and capacity, as well as in the case of the Euro-Atlantic region preparing interested, eligible countries for NATO membership. Many questions remain though regarding the strategic drivers for NATO’s partner relationships and how they can further common security interests of both the Alliance and its partner nations/organisations in different regions, above all beyond Europe. 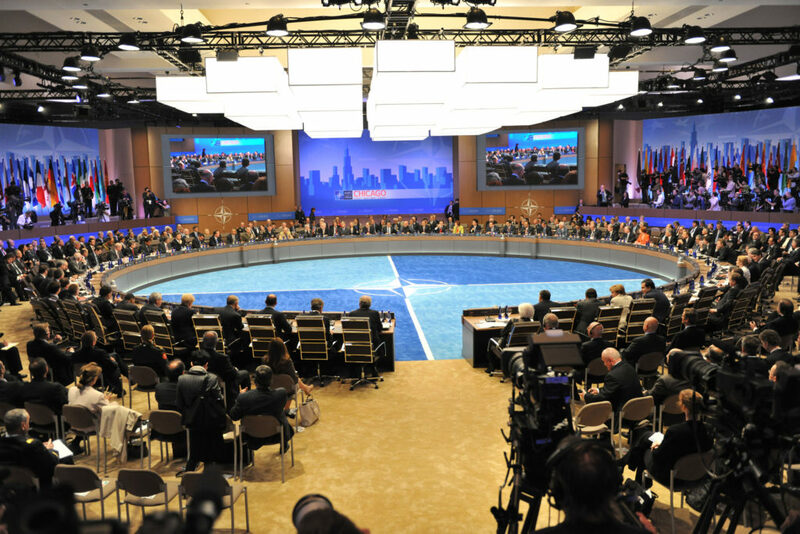 Defining NATO’s place and utility in a changing world ran through this conference, as did the need to make strategic dialogue central to the forging of ‘strategic partnerships’ with implications for global security. Within a decade strategic relationships will have been transformed both between states and institutions. NATO partnerships must be seen in that context. Partnerships should be driven by both interests and values and should be geographic as well as functional in nature. Critical will be the crafting of a new concept of partnership that re-energises existing partnerships and seeks new forms of collaboration as part of a world-wide security partnership web. Central to future partnerships is NATO’s place in America’s grand strategy. This includes the possible forging of a new contract with the US; NATO takes care of security for both members and partners in and around Europe, thus easing pressure on the US elsewhere, in return for the continued American security guarantee. The purpose of partnerships at a time when most NATO members face a ‘defence cliff’ is to lessen risk by shifting the balance from collective defence and crisis management to co-operative security. However, to make NATO’s Partnership Strategy relevant to the twenty-first century new mechanisms and institutional solutions must be sought that serve the needs of all. NATO has no ambition to be a global Alliance, but has a critical role to play as a cornerstone institution in a world-wide security web. For such an architecture to be realised NATO must differentiate its role from that of the US and by extension its relationships with partners, both formal and informal. At the military level NATO is but one framework provider for global partners. No major future NATO operation is likely to take place without partners and therefore NATO may have an important role to play as an ‘interoperability school’. Equally, the limitations of NATO and its partnerships must also be understood. Many of the emerging risks and threats, such as food and water insecurity and rapid urbanisation, will not be solved by military means. NATO and its partnerships are thus but one set of interlocking state and institutional partnerships vital to effective strategic governance of twenty-first century security. However, until the essential divide within the Alliance is resolved between ‘globalists’ and ‘little Europeans’ it is difficult to see NATO emerging as a formal hub of effective strategic partnerships. It is therefore vital that NATO establishes a consensus about what it wants to achieve with partners and that partners better understand NATO. To that end NATO’s partnership strategy must become core business. Indeed, NATO needs more consciously to seek a full spectrum of partnerships. However, a perceived failure in Afghanistan would impact the full spectrum of partnerships from strategic cooperation through security sector reform, disarmament, demobilisation and rehabilitation, democratic control of armed forces through to defence diplomacy. Before a strategic dialogue of substance can take place with partners NATO must itself determine what its role is in the twenty-first century. That will also mean agreement within the Alliance over what it can do, and what it cannot.